What happens when brands take a stand on social and cultural issues? Often, customers sit up and pay attention. On YouTube, for example, cause-related ads have more views and higher engagement rates.1 But wading into controversial topics is tough. When it goes wrong, companies risk coming off as opportunistic and out of touch. 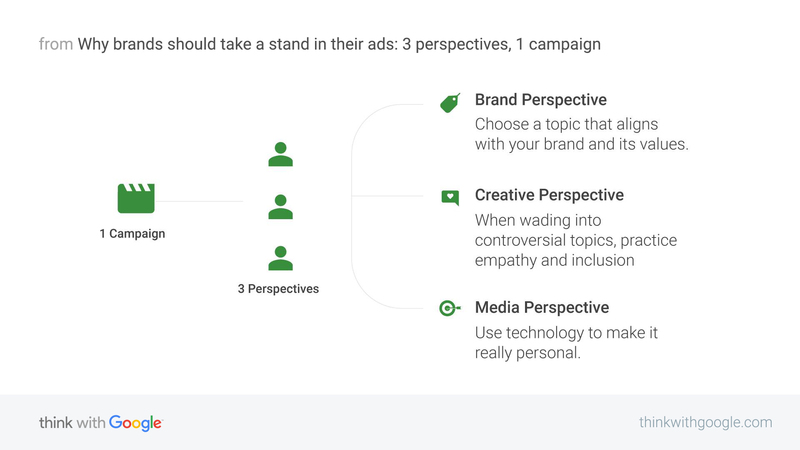 So what can companies do to get POV advertising right? Ask Yoplait. In its recent “Mom On” campaign, the yogurt brand tackled a hugely contentious subject: mom shaming. The campaign delivered best-in-class results across all five Brand Lift metrics, including a whopping 1,461% lift in Brand Interest. We spoke to the team behind the campaign to find out how they got cultural relevance right. “The main objective of our ‘Mom On’ campaign was to drive brand reconsideration. Yoplait has been around for a long time and people think they know us. But sometimes the familiar gets overlooked for new stuff. Framing the campaign around a hot cultural topic was a great way of marketing to moms who may have forgotten about us. Of course, the risk with this approach is that it ends up seeming disingenuous and inauthentic. How did we avoid that? It also helped that, as a brand, we’ve faced those same pressures. In the past, it was enough for yogurts to taste great and be affordable. Now, expectations are a lot higher, sometimes unrealistically so. As we say in our anthem video, if it’s not made from cage-free Norwegian hemp milk, some people aren’t interested. “There’s a lot of information out there telling moms how to do parenting ‘right’ and painting an unrealistic, idealized picture of motherhood. Our audience told us about the range of judgments they come up against as moms, and how they don’t recognize themselves in mosts ads they see. After hearing this, we knew we wanted this campaign to be full of understanding and support for moms, to show them that Yoplait has their back. You can be controversial, as long as you do it with empathy. Using a 60-second anthem video gave us the space to showcase the range of judgments our audience had told us they face. We aired it on YouTube because we knew from our research that moms use the platform not only for entertainment, but also as a resource for parenting tips and tricks, to help build up their confidence. “The aim of our anthem video was to appeal to all moms—those who breast-feed, those who bottle-feed; those who stay at home, those who go to work; those who live in yoga pants, and those who dress up. But every marketer knows that the most effective ads are those that connect with people as individuals. That’s why we turned to technology to help make it personal. As well as producing an anthem video, we used YouTube’s Director Mix to quickly create 32 different six-second ads, which we used to retarget those who had seen the longer video.